These are so easy to make and freeze to enjoy throughout the year. 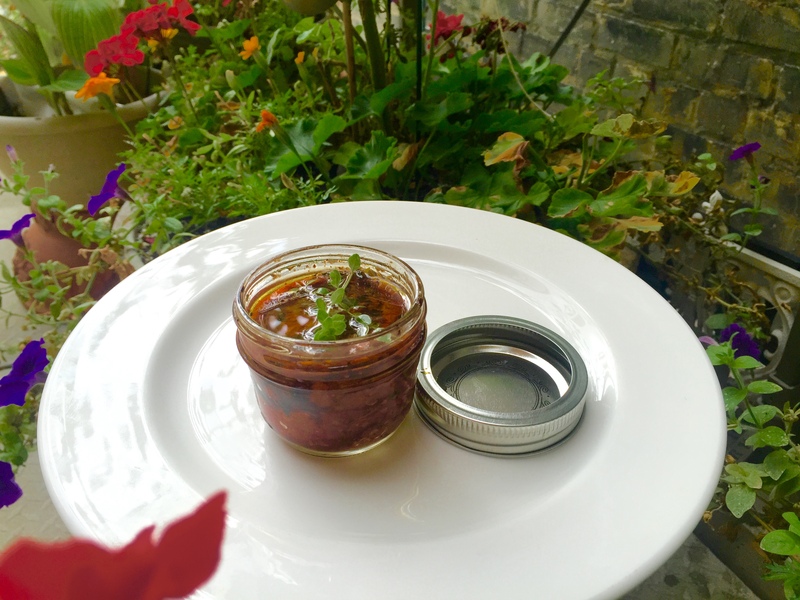 Great on salads, sandwiched, pasta. pizza. The flavour is concentrated. 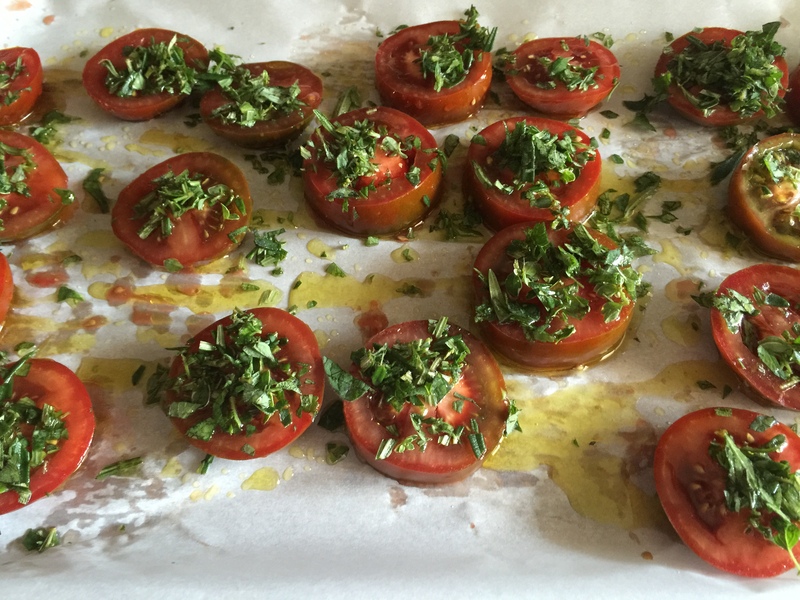 Recipe 6 to 8 tomatoes, slices about 1/2 inch thick 1/2 teaspoon salt 1/2 teaspoon freshly ground pepper 1 tablespoon fresh thyme, fresh oregano, fresh basil, whatever you have. 1 tablespoon olive oil Directions 1. Preheat oven to 250 F or 120 C 2. 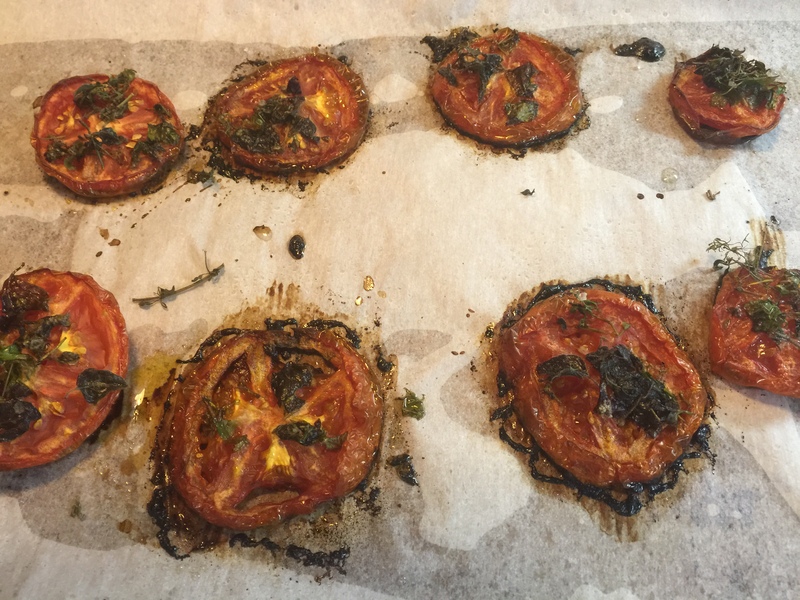 Place sliced tomatoes on a baking sheet on a piece of parchment or silpat sheet. 3. Drizzle with olive oil. Sprinkle with salt pepper and fresh herbs. 4. Bake for one to two hours checking every half hour until pieces have shrunk slightly, edges are shriveled and juices no longer run. They are not completely dried but are still juicy. 5. Cool slightly and put into glass jars covered by olive oil. Leave about 1/2 inch of head room and freeze if you will not use them up in the next week or two. Yummy! Fantastic appetizer or snack. Good for canapé for parties. Thank you so much! I am overwhelmed!! !